Bitcoin is defined on bitcoin.org as an open source and peer-to-peer digital currency. The bitcoin project was released as an open source project under MIT license in August of 2009. It is open source because the source code is openly available for anyone to download and use or alter. 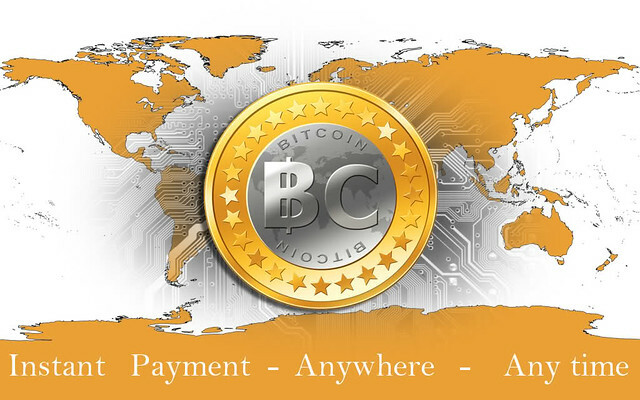 The Bitcoin project is also peer-to-peer, meaning that it relies on the cooperative computational contribution of users rather than centralized servers to maintain network function as a digital currency. Many digital currencies already exist, such as gold in World of Warcraft or credits on facebook. These currencies come from single corporations and given a set value. They cannot be legally converted back into another currency, so they have no market value. Unlike these limited digital currencies, Bitcoins or BTC can be exchanged with any other currency by using the original open source program or one of many popular online services. Because Bitcoin is peer-to-peer, these digital exchanges require no banks. Bitcoins are produced at a gradually reducing rate calculated by algorithm. At the moment, 25 BTC are produced every 10 minutes. These bitcoins go to miners who are providing computational power connected to servers using a high-speed Internet connection to keep the system running. Every 4 years the rate of BTC production will be halved until reaching the limit of 21 million bitcoins in 2140. The exchange rate of BTC is determined by market exchanges and usually hovers around $10 to $20 USD in value. Speculation sometimes drives the value much higher, creating bubbles of inflated market value. Most recently, the value of BTC reached a peak of about $200 but at the time of writing the market value has dropped to about $70 per BTC. The fluctuations in market value draw investors, particularly those willing to make high-risk exchanges for potential profit. The theory behind BTC is praised by Libertarians and Anarchists who wish to avoid supporting national governments by avoiding their currency. When buying, selling, spending or earning BTC, users can make exchanges without contributing transaction fees to banks or taxes to governments. Of course, the possible loss of revenue is a concern to governments invested in their own currencies such as US dollars and euros. Ever since the inception of BTC in 2009, skeptics have claimed that the BTC network will be shut down by the US Federal government and other national governments looking to preserve the value of their own currencies. Whether they have the legal position or the practical ability to take down the decentralized network is up for debate. So far, bitcoins are going strong as a practical currency with only the occasional technical hiccup as more and more people invest in BTC.